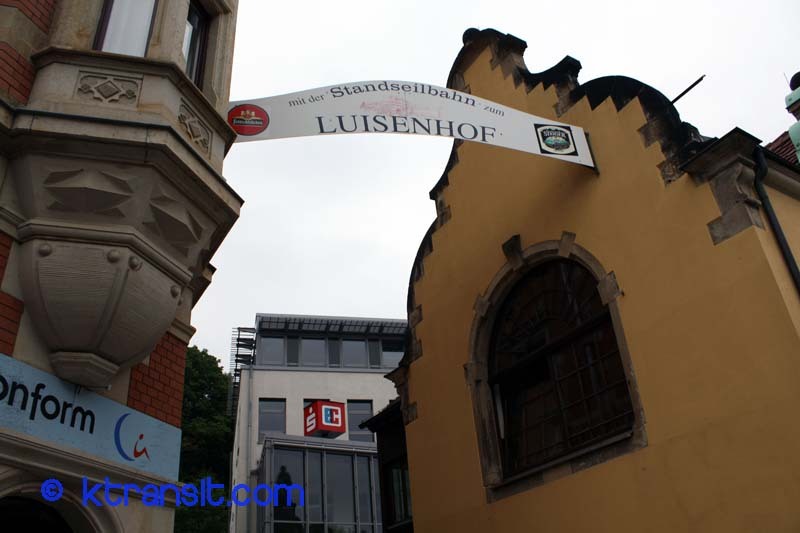 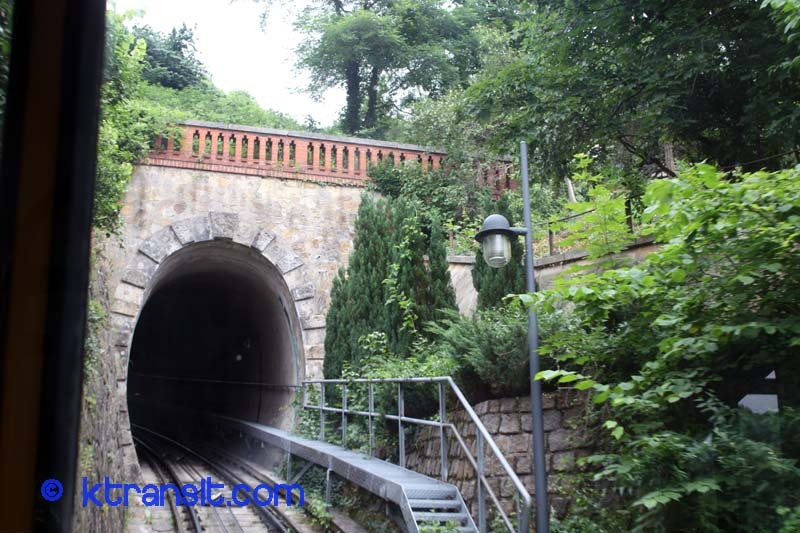 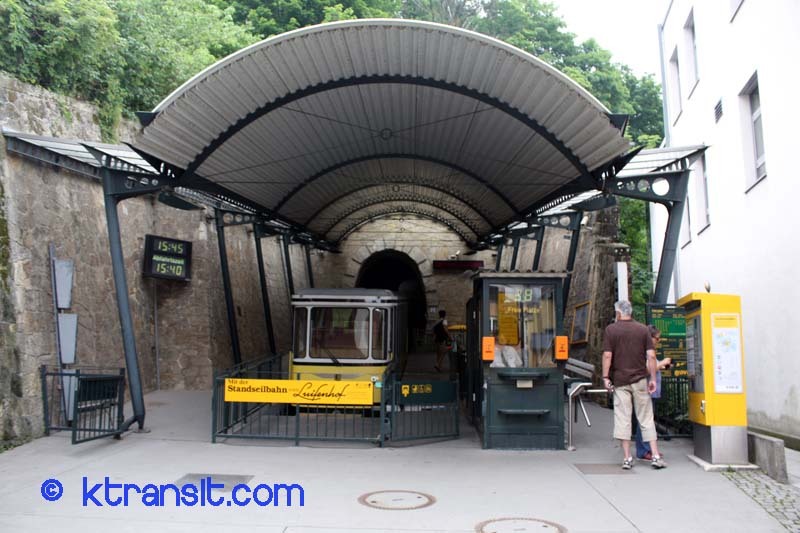 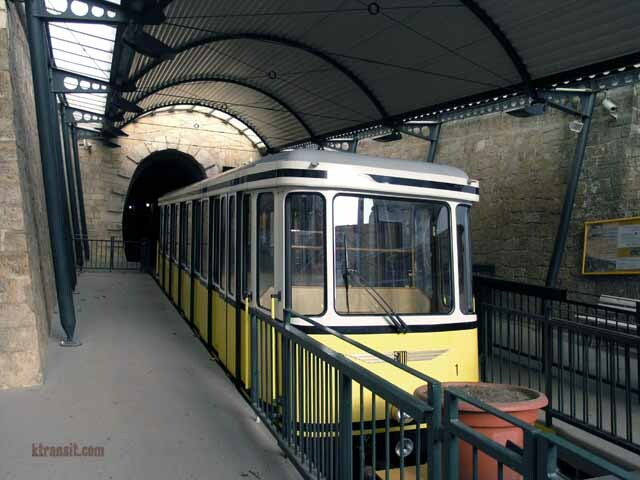 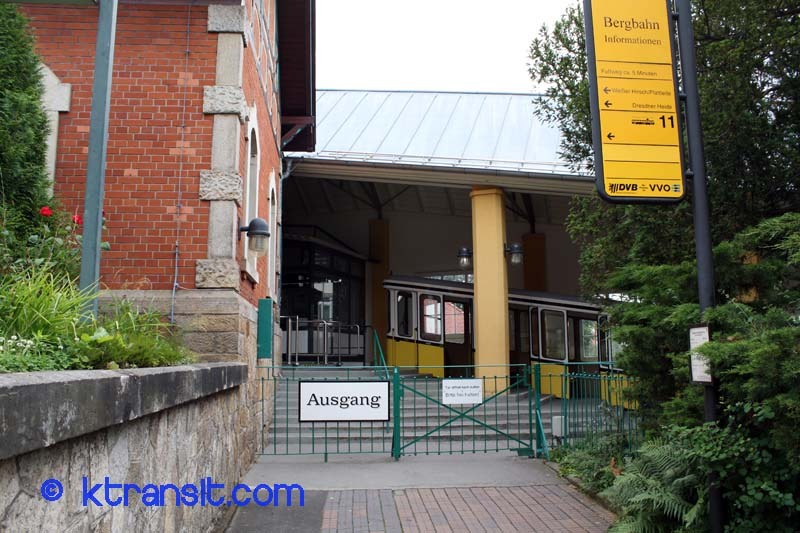 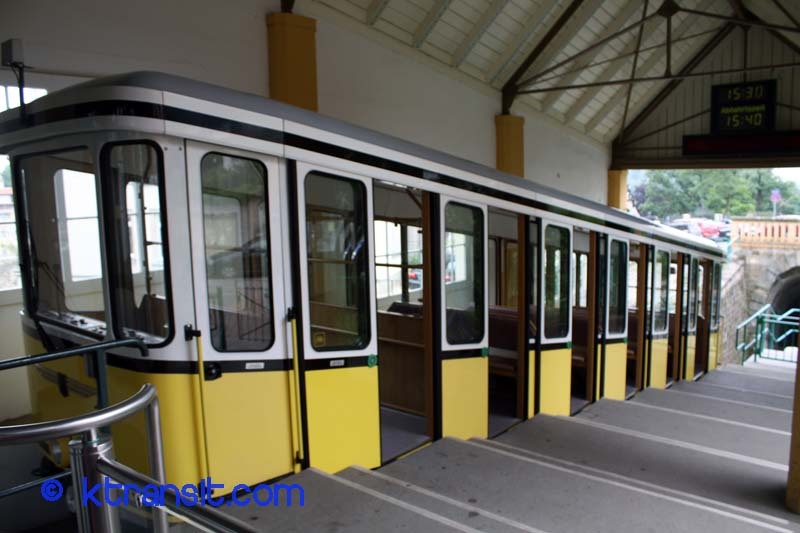 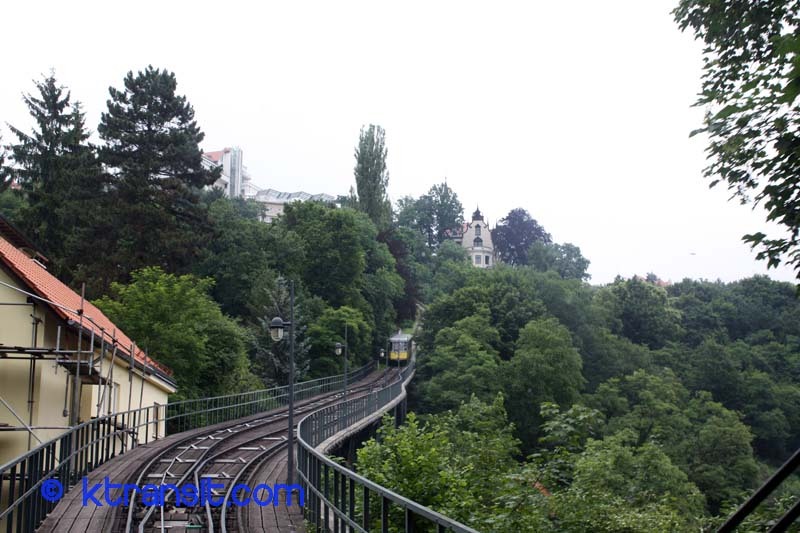 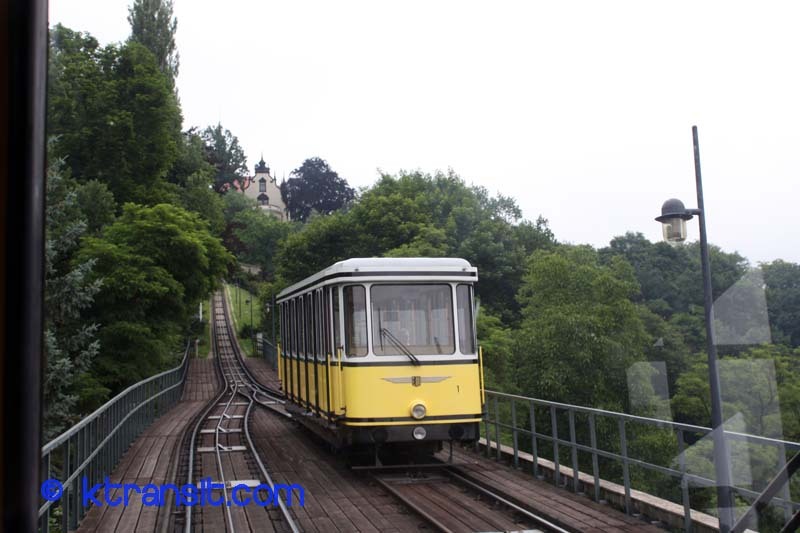 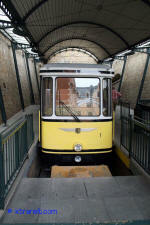 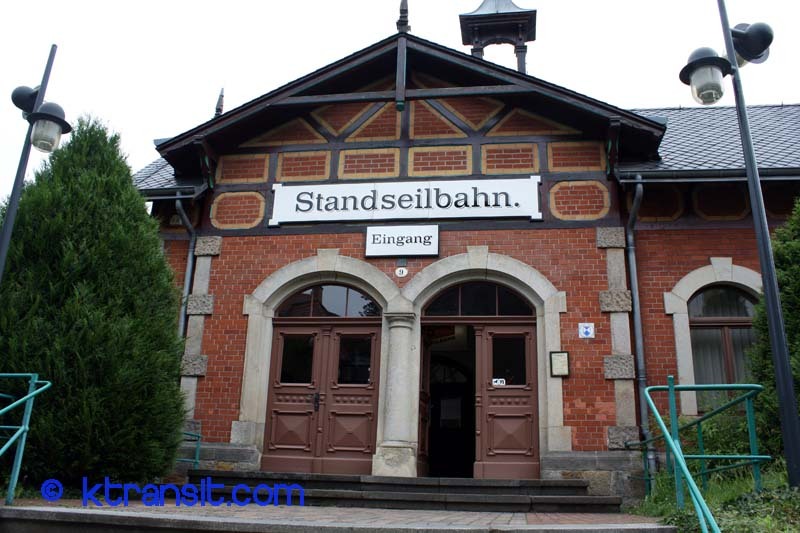 This is Dresden's 2nd Funicular, very close to the Schwebebahn near the Blue Wonder Bridge. 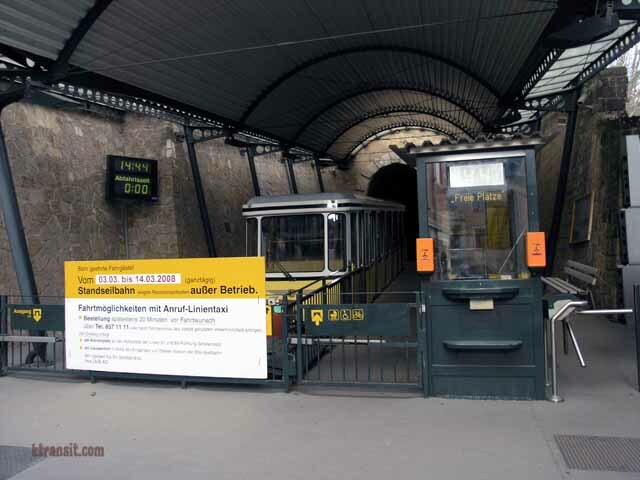 Sadly during my Dresden visit the line was down for scheduled maintenance. 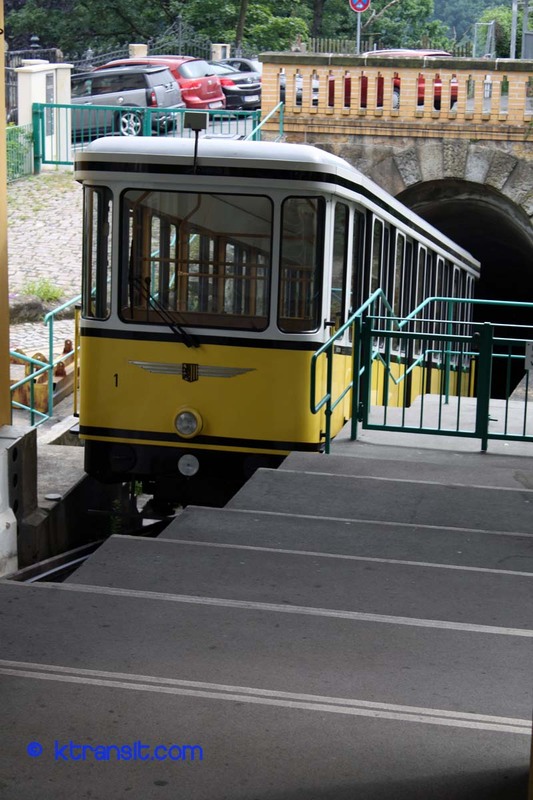 Therefore I was unable to ride it :(. 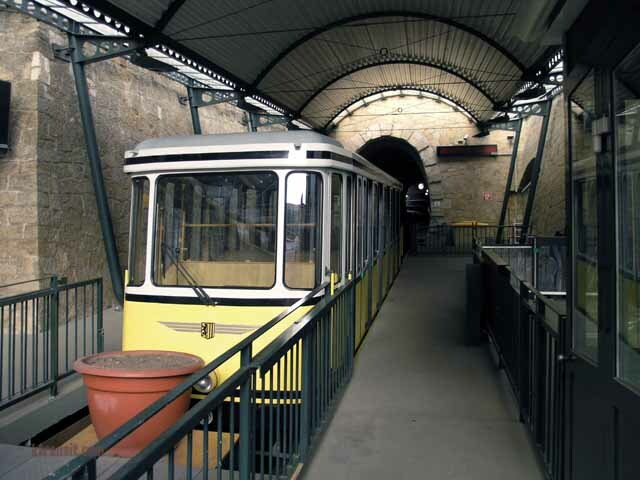 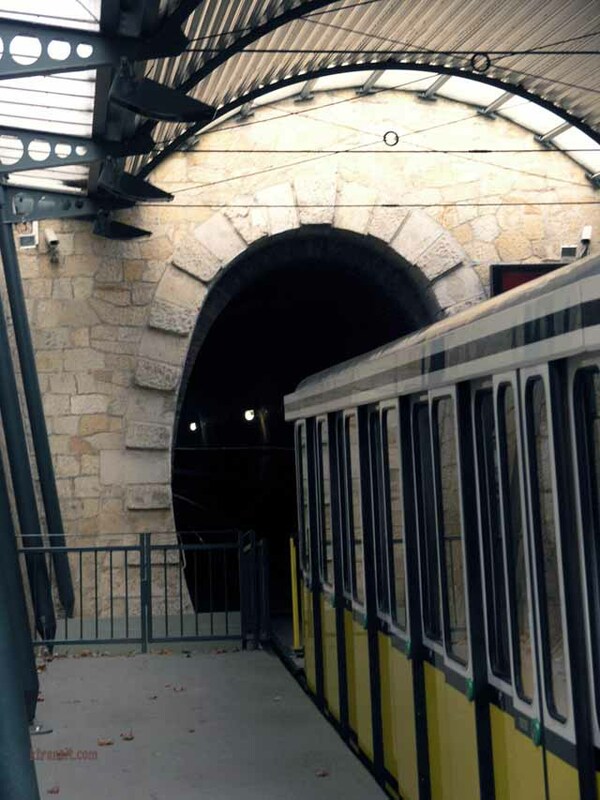 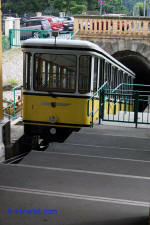 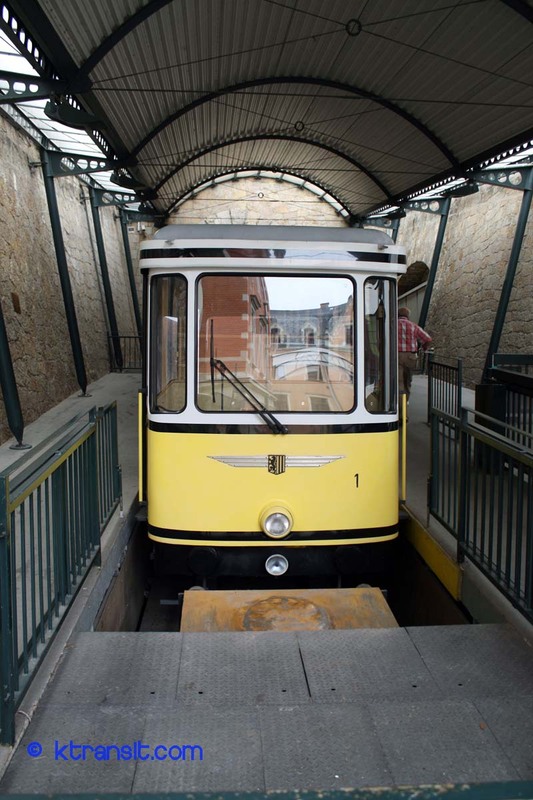 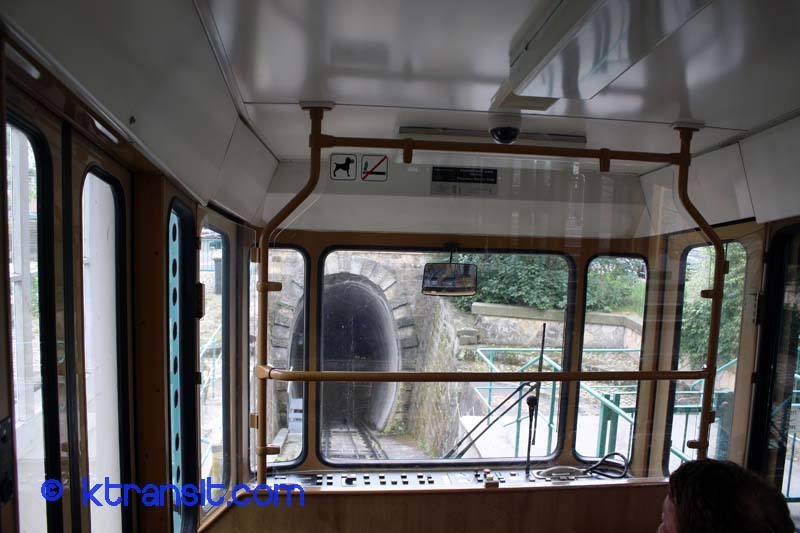 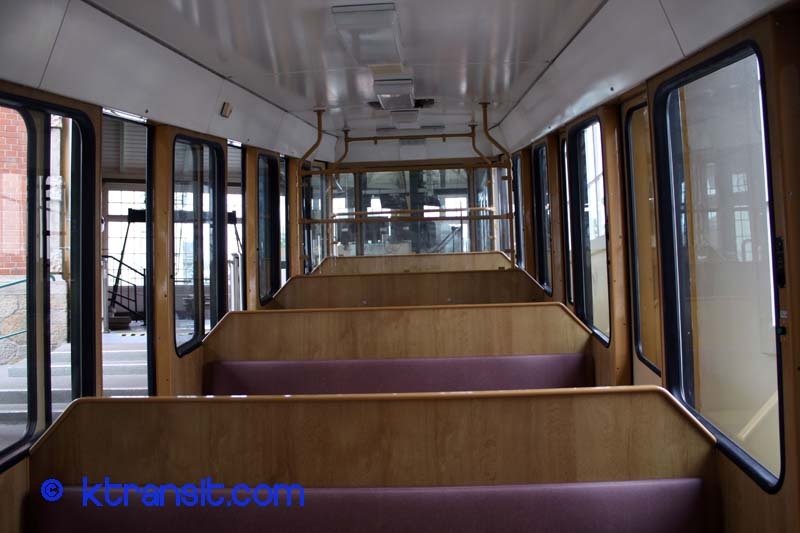 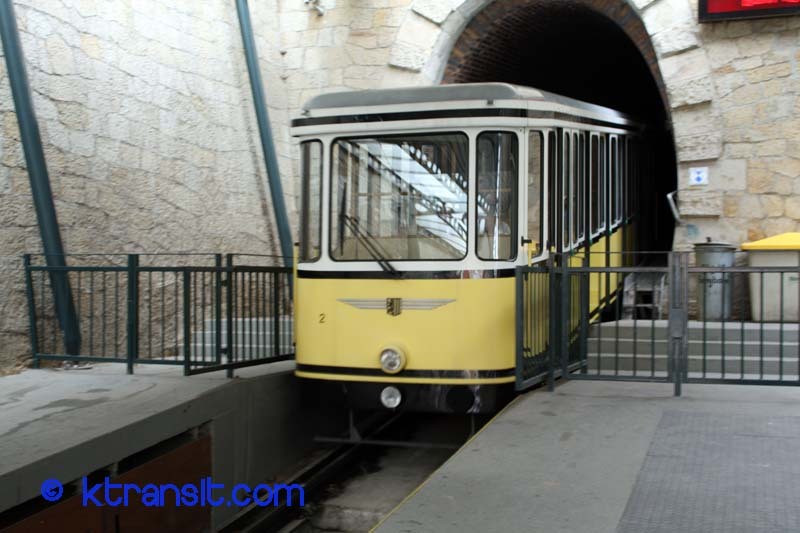 This line is a very typical Funicular. 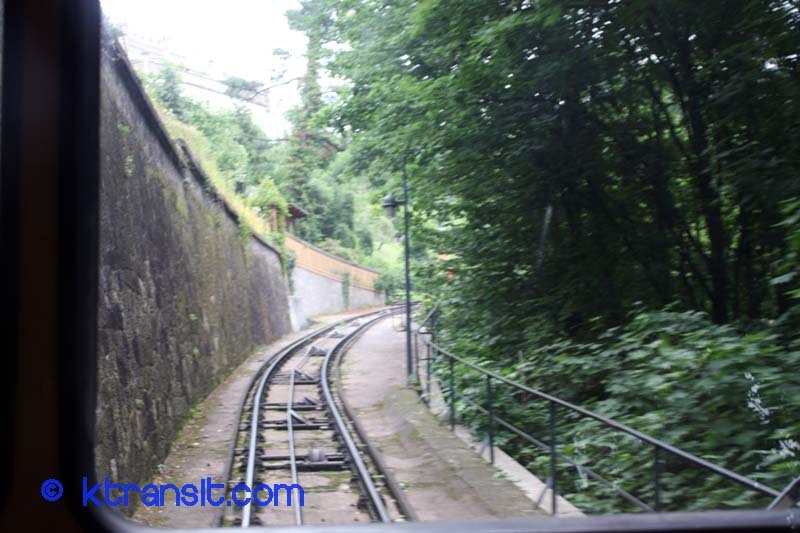 2 cars sharing the same trackway with a passing side mid-way.